From one day instruction to backstage application. Hair and Makeup Design services offered include 3 tiers for any director/producer's budget. See below for breakdown on Tiers. From day jobs to week long productions, we've got experience on set and on location. Full kit includes items for basic grooming for men, beauty for women, and special effects as well as a portable makeup chair and small table. Makeup is HD compatible. Actors need a new head shot? We can help with that too! 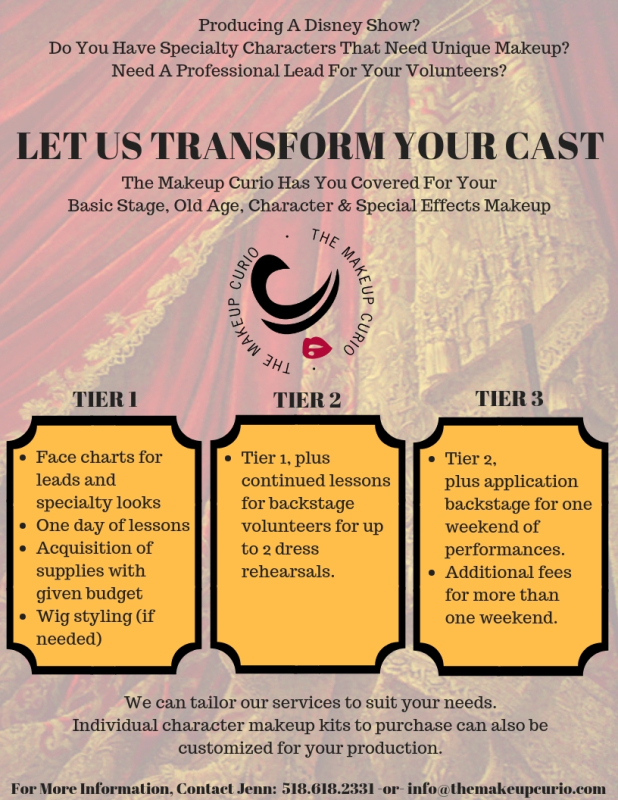 We carry theatrical makeup from Graftobian, offer customized educational workshops for performers or crew, and offer three tiers of makeup design services for any budget. Tiers now also include hair design and wig styling.